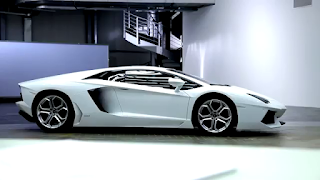 Lamborghini has used Carbon-Fiber technology to design the Aventador. The front and rear frames of the car are made by Carbon fiber monocoque with Aluminium. Body include Carbon fiber engine bonnet, movable spoiler and side air inlets, Aluminium front bonnet, front fenders and doors, SMC rear fender and rocker cover. It also comes with rear spoiler which can be movable to 3 positions depending on speed and drive select mode. It has front and rear horizontal mono-tube damper suspension. 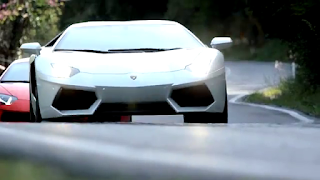 Aventador is powered by a V12 engine which is tuned to get 700 CV (515 kW) at 8,250 RPM. The engine has a displacement of 6498 cm³. Engine produces a maximum torque of 690 Nm (507 lbft) at 5,500 RPM. It comes with 4WD with Haldex generation IV transmission. Engine is paired with 7 speed ISR gearbox and dry double plate clutch. The engine is limited to a top speed of 350km/h (217mph) and the car only need 2.9sec to reach 62mph from rest. The vehicle gives a mileage 5km/ltr on highway. Lamborghini has never compromised in the safety of this high end supercar. The Aventador comes with multiple airbags such as front dual stage driver airbag and front adaptive passenger airbag, seats with side “head-thorax” airbags, passenger and driver knee airbags. It also has ESP/ ABS with different ESP characteristics managed by drive select mode. Brake a car which is going in a speed above 200mph is never so easy. With Dual hydraulic circuit brake system with vacuum brake booster, front and rear CCB, 6-cylinder brake callipers, 4-cylinder brake calipers we can stop this supercar.